believe lives in the same neighborhood as Hoffman’s family, in attendance as well was Michelle Williams, as well as acting icons like Meryl Streep. All signs in other words are still pointing to the fact that Hoffman was, and is a highly respected figure in our current culture. 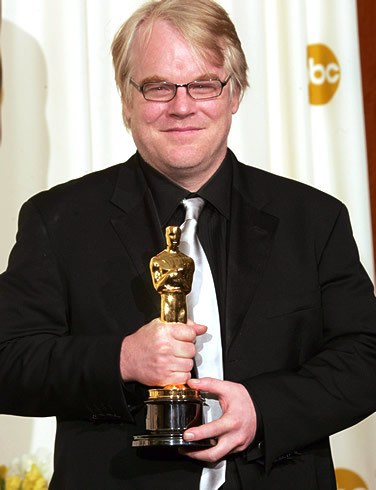 Respect is the word I think I want to be emphasized here, because while many of us were shocked, and amazed at Hoffman’s sudden passing, we also a lot of the time seemingly automatically thought about the affect his death would have on the Mockingjay films. Is that a sign of disrespect though? I remember when another highly beloved, highly respected, and talented actor was taken long before his time, right in the middle of filming another highly anticipated film, although not a Tent-Pole style film like the Mockingjay films– I’m speaking of Heath Ledger. Ledger was in the middle of filming the Terry Gilliam film The Imaginarium of Doctor Parnassus, when he too died of an unfortunate drug overdose, and his death sent the film production into a proverbial tails-spin of “oh my god what do we do! ?” However, also with a healthy dose of “this is so sad, this is so sad, who cares about making a film… this is so sad.” The film was finished though, ingeniously by having three other actors come in and play Ledger’s character– turning the character into a sort of manifestation of everything the female lead desires at that moment in time. See the film, it’ll make more sense, and you’ll also get to see Andrew Garfield in his first American film in the process of watching, also Christopher Plummer is amazing in it as well. And to be completely indulgent, I’m still not over Ledger’s death, I don’t think I ever will be– because he was the first contemporary of mine, first famous contemporary anyway, who died so terribly, and so publicly. I still remember the day it happened, and just being so angry at the older people in the office where I worked, who said “who cares!” When even the radio shared the news, and my saying “his family does, he has a little girl, also… I care.” He was only four years older than me, now he’ll always be younger than me, and I still can’t not remember him at 17 in this awful Fox series called Roar, which I faithfully watched when it was trying to make something of its self– and I knew the show sucked, but I also knew that he didn’t. Eleven years later he’d been nominated for an Academy Award, and after he passed he won Best Supporting Actor posthumously on his second Academy Award nomination. All this Heath Ledger remembering is making me feel things! Respect is still the word I’m focusing on by the way– because I think it was innovative, and perfect, and respectful the way that Gilliam got around, and in a way enhanced The Imaginarium of Doctor Parnassus by casting Colin Farrell, Jude Law, and Johnny Depp to pick up where Ledger unknowingly left off. With the Mockingjay films though there’s only one scene left to be shot that features Philip Seymour Hoffman– meaning unlike with Doctor Parnassus where nearly half of Ledger’s role was yet to be shot, recasting the role of Plutarch Heavensbee isn’t feasible at all. So, what’s to be done about this conundrum so to speak? Well, hours after Hoffman’s death was announced, and I reeled, and quaked, and cried a little after getting the initial news texts from several of my friends– the discussion started. How are they going to finish this thing without him? And I said they’d use technology, that there’s more than 20 years of voice samples for the sound team to choose from, and they could make a computer synthesize his voice, and have the computer be Hoffman for that one remaining scene. Well, looks like I was right, and on top of it all they’re allegedly going to make a digital visualization of Hoffman as well. My quarry is this though… is this creepy, is this disrespectful, is it too much? My guess, unless they tell us beforehand which scene it is, we may not even be able to tell which it is in the moment of everything else going on. The technology these days is amazing and they will make it seamless. I have thought a lot about heath ledger too, because he left such a legacy at the end of his career with TDK. For better or worse, Mockingjay will always be remember hand and hand with his memory. I think it is a wonderful, beautiful way to honor Philip and let the focus be on what will be the last performance we will ever receive from a wonderful actor that we have lost far to soon. I don’t think it’s too much, and I can see why some people may find it creepy, but having his image and voice technologically synthesized would be quite respectful. It will honor the work he’s done for the film and finish off what I’m sure he had every intention of completing. Thanks for bringing up this topic. Hoffman’s death is still so fresh that it’s a difficult subject to discuss. I just don’t understand how the computer can recreate his amazing acting.. I think it’s a bit creepy but at the same time I think it is better than rewrites– especially if the scene is pivotal. Initially I thought I they were to recreate him it wouldn’t be involving dialoge. I thought it would just be him in the background, or at a table or something. I’m interested to find out! I do hope that if they decide to go that way, they’ll ask his family’s permission.